I have a new gaming addiction… Hearthstone: Heroes of Warcraft. Described by its creators Blizzard Entertainment as “a fast-paced strategy card game that is deceptively simple and insanely fun”, for the most part I agree! Back in the day at the tail-end of the initial Pokémon craze and just before the Naruto explosion I distinctively remember loosing dozens of hours challenging friends to epic card battles in another card game based off of an anime called Yu-Gi-Oh!. Hearthstone seems to have tapped into the enthusiasm I had for Yu-Gi-Oh! and though a very different game in terms of mechanics definitely works the same mental muscles and pushes the correct excitement buttons. I recently took a break from playing Star Wars: The Old Republic due to the need to devote more time to my new job and college. Interestedly enough I dabbled with Hearthstone during beta but didn’t really give it a chance as I had other gaming distractions. Fast forward a year and here I am launching fireballs at minions and polymorphing my enemies into sheep. The casual-friendly gameplay of Hearthstone means it can fit into the limited available time I have to play games while providing some fun cerebral massages. 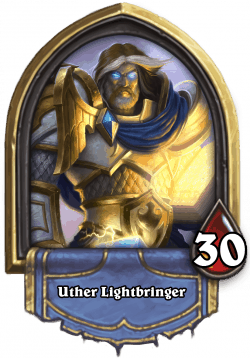 No King Uther (Paladin) will not put Zombie Chow in his deck, why would Rexxar (Hunter) be prancing around the forest with an underaged Sorcerer’s Apprentice and Gul’dan (Warlock) doesn’t believe in Divine Shielding. What does that mean? I don’t take Hearthstone seriously most of the time and I don’t crunch the numbers to play only optimized cards. I’m the moron who plays a themed deck and haves fun win or lose while yelling “For the King!” when my Stormwind Knight charges into battle. I do have a couple “serious” decks for friendly challenges and ranked but for the most part I like to keep it fun. I’m having so much fun with Hearthstone that I have started recording some of my matches and hope to see how I progress in ability the more I play. 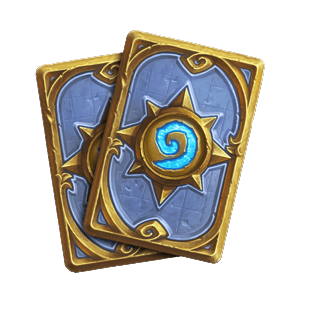 Check our the Jamaipanese Youtube channel for the Hearthstone Noob playlist and don’t forget to subscribe! Got tips, feedback or suggestions you want to pass on to help me about Hearthstone or do you just wish to crack my skull in a match? Tweet me @Jamaipanese or leave a comment or drop me a message with your Battle.net name and let the brawl begin!